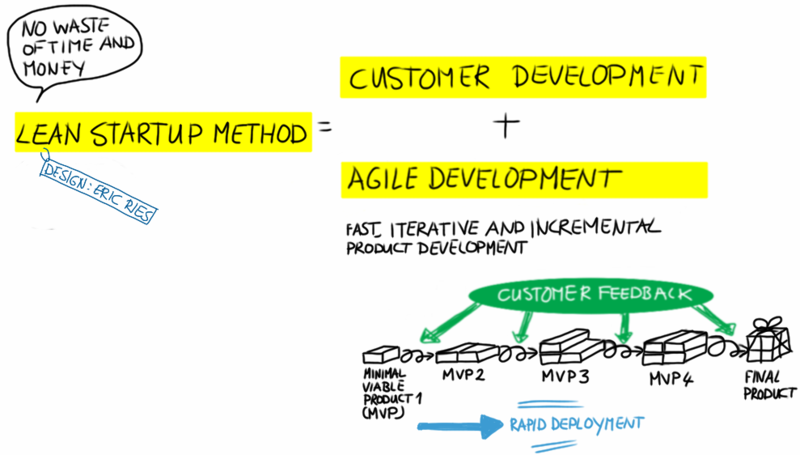 The Lean Startup Method combines fast, iterative and incremental development methodologies (Agile Development) with Customer Development. Validated Learning: Regularly gather evidence about your ideas to test your assumptions and make decisions based on facts. In situations of extreme uncertainty Validated Learning is the best approach for making decisions. 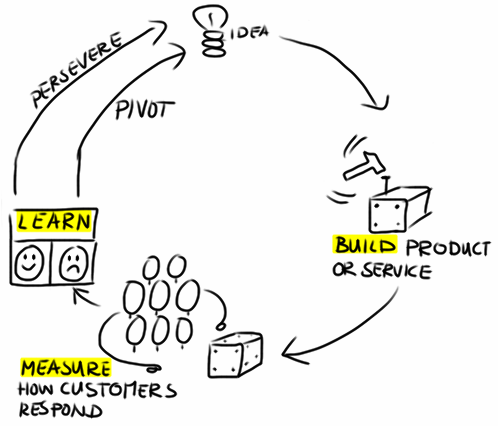 Build-Measure-Learn: The fundamental activity of a startup is to turn ideas into products, measure how customers respond, and then learn whether to pivot or persevere. Innovation Accounting: Accounting designed for startups. A method to monitor how to measure your progress, how to set up milestones, and how to prioritize your work.